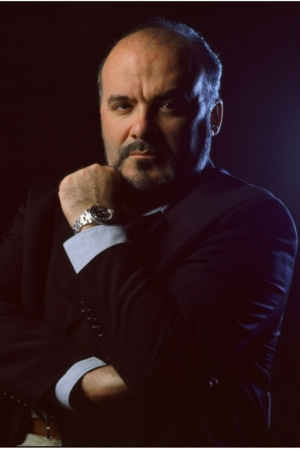 Verdi and Puccini wrote roles that demand tremendous presence, and few singers create them as effectively as Paolo Gavanelli. His characterisations are so powerful that it was a little worrying to encounter someone who can create such Rigolettos, Nabuccos, Scarpias, Iagos, and Gianni Schicchis, but Gavanelli himself is charming. It’s all in his art: he says his roles come alive because he thinks about how the music is written. But this is a modest understatement, for much experience and intelligence goes into his work. This Tosca, a production by Jonathan Kent, was premiered by Bryn Terfel just two years ago, but Gavanelli’s Scarpia will make it special. Gavanelli has created Rigoletto no fewer less than 185 times and will soon achieve 200 productions. Even by his standards, his 2001 Rigoletto at the Royal Opera House was a milestone. He scuttled across the stage like a wounded spider, but he sang the role with such dignity that he made the role deeply moving. “If you think about what Rigoletto did, he is like a monster for keeping his daughter hidden like a prisoner, but if you look at the tessitura in the first act it’s very, very high for a baritone. When a baritone sings that high, it’s disturbing, like having a stick in your body, something’s not right. Then in the second act, the tone is real baritone, in the middle register. That’s when you discover the real nature of Rigoletto. Then, at the end, the fermata are very low, for he is coming close to finding out his daughter is dead.. It’s cupo, very dark. It’s perfect. Verdi has designed the character”. Although he has sung Scarpia many times, each time he finds something new from the music. “I’m trying to get as little movement as possible. Everything happens in this opera in only a few hours, close to real time. I want to put in the idea that Scarpia is used to doing these things every day, it’s his routine. Angelotti and Cavaradossi get tortured, but the same would happen to any republican rebel. It’s just the way they used to do things then. So when he arrives at the church, he doesn’t have to shake his fingers and shout. Spoleto and the other policemen know perfectly what they have to do. They do things like this all the time. No ? When Scarpia arrives he just looks around majestically and says, “Un tal baccano in chiesa!, what a noise in a church !”. Everyone else is running around. But I look at the window, it’s very soft and quiet, almost no movement. But when Scarpia moves, everyone notices, the public is shocked. In Italy, we have a saying “the dog that barks does not bite”. Scarpia knows he has power, so he doesn’t need to show it by screaming. When he questions Cavaradossi he doesn’t shout, he just asks quietly. He’s pragmatic, he doesn’t waste time”. Gavanelli is intelligent – he was one of the top law students in his years at Padua, one of the oldest universities in Europe – and intelligence certainly shows in the way he approaches his work. His roles have huge emotional impact, but they arise from firm technique. “I have to give emotion when I sing, but I do not have to have emotion while I’m singing. It’s different. When I sing it’s well prepared and I know what I have to do”. Recently he heard someone asked Maurizio Pollini what he felt when he played. “Nothing” said Pollini, “if I get too emotional I make mistakes”. A performer is like a channel allowing feeling to flow between composer and audience. When he was training, his teacher told him that in a career, “The voice is 5% important. The rest is stamina, strong nerves, and good technique. Of course a perfect voice helps, but some people start with a wonderful voice but after a few years it’s finished. And other people have good careers because they can use the voice they have well”. Gavanelli is a regular at the Royal Opera House because he’s much respected. He’s also a regular in Munich, where he was appointed Kammersänger in 2005. The honour means a lot because it was awarded by the Bavarian State Ministry and he doesn’t sing German repertoire. He’s met many great singers, but he remembers the time early in his career when he sang with Julia Varady in La Traviata. He’d sung the second strophe of Di Provenza il mar with pppp, four pianissmi. Afterwards, Dietrich Fischer-Dieskau came up and took him by the arm. “Mr Gavanelli”, he said, “Don’t ever lose your pianissimo! I can hear it in the last row of the theatre !” It taught him something about using the voice for dramatic effect. “You can sing most of an opera piano but at some point you have to be forte. If you are screaming all the time it’s boring, and after a few minutes the audience gives up. But if you sing piano, lento, calando, when you do the forte people will pay attention”. So Gavanelli’s Scarpia, this month at the Royal Opera House, will seem all the more menacing for being restrained and orderly.